For the diehard hockey player or figure skater, a backyard ice rink is the perfect way to access a training facility at all times. While competitive teams travel to rinks near and far for games and practices, having a rink in the backyard can help many young skaters develop their skills. Though these rinks are not regulation size, these smaller ice surfaces are perfect for furthering particular skills. Here are some things that skaters may be able to master on a smaller, homemade ice rink. Stick and puck handling: having wide open spaces across a regulation sheet of ice allows players to make smart plays with their teammates, but by working in a smaller space, the puck is trapped within a particular area. During puck handling skill drills the player is able to keep an eye on the puck without the need to retrieve it from across the rink. Practicing in a smaller area also requires players to make quicker, more precise touches on the puck to ensure accuracy. Shooting: Non-regulation rinks call for non-regulation goals. The smaller the target, the more difficult the shot. If a player masters a shot in a smaller goal, it is possible that their regular shots will become more accurate as well. Spins: In a small space, spins are the best place to start. Since a spin's vertical axis remains still throughout the revolutions, large sheets of ice are unnecessary. Even more advanced spins like a flying camel spin or Biellmann should be able to be done in a home ice rink. Edge quality: A lot of kids have trouble keeping their edges curved and using their blades to their advantage. With a smaller rink, practicing edges is more apparent. The skater should be able to fit a couple lobes worth of edges across the rink. In 2014, there were more than 10.65 million children over six participating in ice skating. And while these kids aren't all going to be Olympians, a backyard ice rink can help them pursue a passion as well as find a way to have fun outside when it's cold. Even better, building a backyard ice rink is much simpler than it looks. All you really need are backyard ice rink brackets, a tarp lining, paneling for the boards, a hose, and a way to resurface the ice. 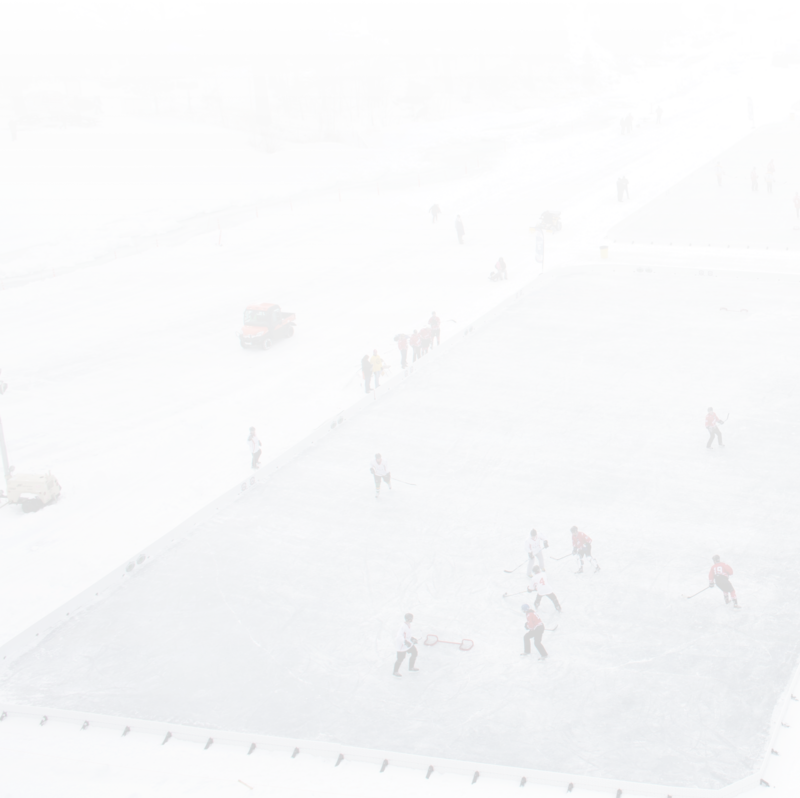 Nice Rink sells backyard ice rink brackets and tarps and other equipment to make sure that your outdoor rink is safe and well constructed.